I posted this on my blog 2 years ago. I offer it again today. 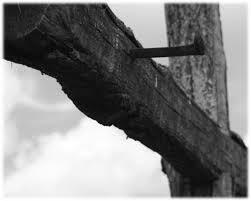 May your Good Friday be a day of awe and remembrance and Presence. In the Christian household (to which I belong), it is Holy Week. As happens most years, I enter this week with the desire to experience, as fully as I can, the story of the last days of the life of Jesus. I seek worship opportunities that engage all of my senses–I want to get as close as I can to ‘being there’ . . . with Jesus. What were the sights, the sounds, the smells . . . what if I had been one of the women with him? What if I had talked with him? Walked with him? Been healed by him? What if . . . I also make it a practice to listen to music that expresses the intensity of this week, this story: waiting, preparation, sadness, grief, loss, anticipation, expectation, joy. For me, music transcends words. There is a passion, an expression, a communication that connects believers not only across language and age barriers, but also across time barriers. Nothing I have ever heard has moved me as deeply as a setting, by Knut Nystedt, of the poem, “O Crux”, by Venantius Fortunatus, 6th century poet, priest and Bishop of Poitiers. Laudibus congregatam. Is gathered to praise you. The piece opens with intense and stark dissonance that is both unsettling and inviting. What could this cross be about? Before the words give answer, there is a section of sudden crying out: “Ah!! !” that weaves between all voice parts, transmitting to one another this anticipation of utter desolation and understanding. The piece continues with a sense of ponderous procession until the music builds to a re-expression of the opening line that foretells the power of the Resurrection. I have sung this before. I have listened to it countless times. And I am always speechless when it is over. In it, I find myself in the mystery beyond all mysteries . . . and can only be there . . . in awe. Oh, Susie, I want to sing (or at least hear) this music now. Thank you so much for this.